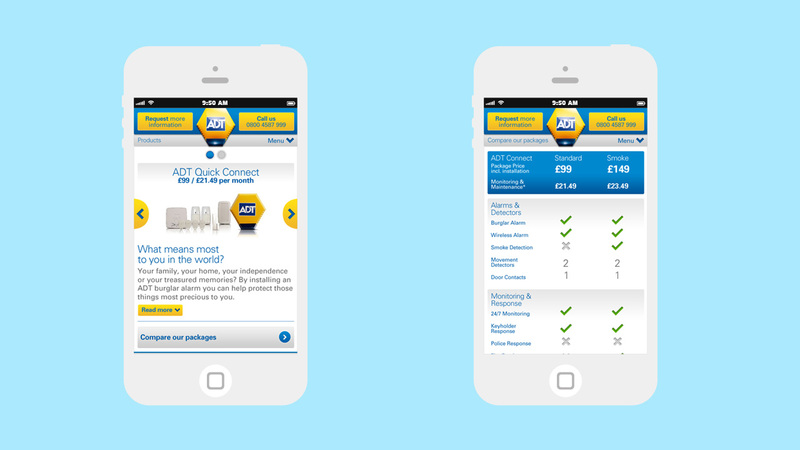 Campaign mobisite for alarm specialists ADT. 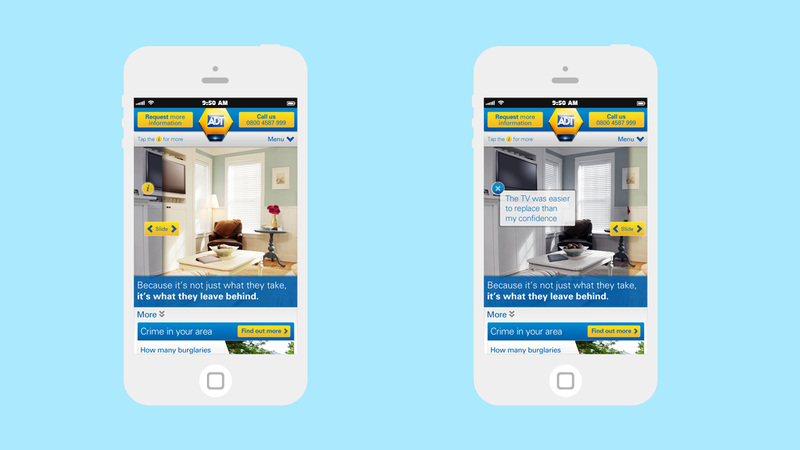 To highlight ADT’s home security offerings, we developed and upgraded ADT’s mobile presence. 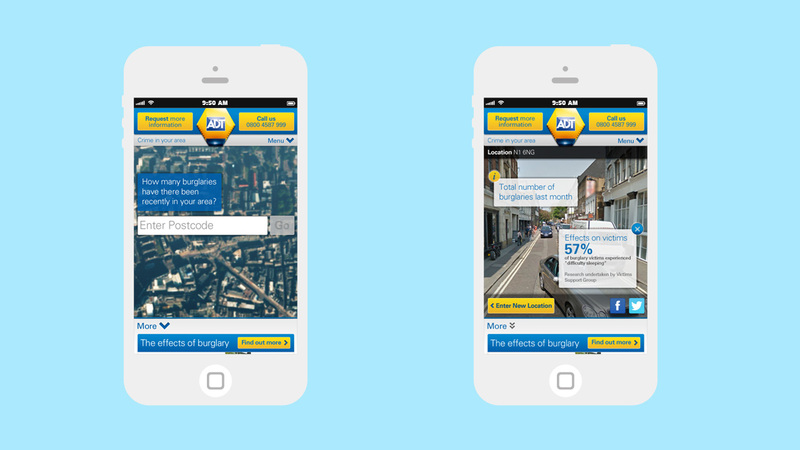 Mobile optimised experiences such as geolocation for crime statistics in your neighbourhood, along with easy to use product comparison, enabled us to design and develop a site that integrated ADT’s core suite of residential products with its broader campaign messaging; ‘Because it’s not just what they take, it’s what they leave behind’.